Few years back there was great hope in malayalam film industry with quite a number of young actors debuting. Many of us thought that era of Mammootty and Mohanlal (super stars) are over and a new dawn for malayalam cinema is around the corner with the infusion of young talent. If one had harbored such thoughts, the year 2005 is an eye opener. This is the year in which the super stars (including the actors pretending to be superstars – Dileep and Suresh Gopi) send out a message to wannabes – find an alternate occupation. Among the young actors only Prithviraj managed to get a decent hit – via Ananthabhadram. Others are changing strategies or quietly fading away. 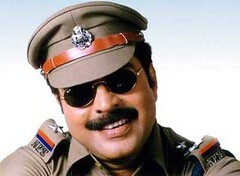 In 2005, Mammootty got his biggest hit in his 25 yearlong career – Rajamanickam. Not one of his 6 movies made a loss. 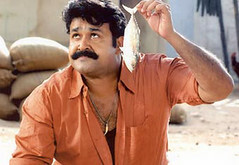 Mohanlal had 2 super hits Naran and Udayananu Tharam. Suresh Gopi came back and asked us ‘ Ormayundo Ee Mukham’ in Bharath Chandran IPS. Dileep had couple of decent hits and a super hit in Chandupottu. Actors like Jayasurya and Jishnu have started accepting roles as side kicks of superstars.Many others – once considered exciting prospects – have disappeared or are doing inane roles. We feel that lack of competition to the superstars would lead to complacency in the movie industry as well as lack of innovation and experimenting. Once upon a time Malayalam cinema was the richest in terms of talent. We had Padmarajan, Bharathan, and Aravindan to name a few. That was a time when Malayalam cinema industry was looked upon with awe and envy. Now we have malayalam movies competing with tamil movies for audience in Kerala. A tamil style Dappaankuthu is considered staple in malayalam movies nowadays. We see a lot of innovation and experimentations in tamil movies where as malayalam movie quality is on a downhill trend. We feel that there should be a right blend of new, young as well as established actors in the malayalam cinema, and we hope that in year 2006 and in coming years producers and directors would be bold enough to take path less travelled. We can never expect a replace ment for Mammoty or Mohan Lal, even it’s very difficult to get actors like Suresh Gopi or Jayaram also. Only stars we can say about is Dileep and Prithviraj, I dont think Dileep is a good actor.. He is a good Entertainer..He face or High’t doesn’t suit for an ACTION film,yeas he done well in RunWay still i dont think. Prithviraj , is good for action films and High Class family subjects but can’t show him as a coolie or an auto Rikshaw Driver or like that. They are like Mammoty and Mohanlal,But they don’t have enough talent to compare with the seniors. Dileep and Prithviraj. they can be developed if got in the hands of good directors like Lohithadas and Fasil.. There was!!! an actor who can act superbly , his name is Biju Menon. Malayalam Industry had wasted him.,There was no director except Kamal and Shaji Kailas who atleast tried to take the inside talent of the actor. When can we expect those kind of films here in MALAYALAM, like those of Padmarajan or I.V Sasi or Barathan or (in Tamil) Barathiraja or K.Balachandra or Selvaragavan or Bala!!!? Can we ever Expect? or Dream???. It’s happening to Malayalam ,that what was happened to Kannada Films. !